Hello Friends! 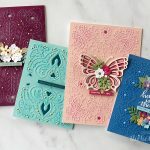 I’m so excited to introduce to you today four more etched dies sets from my NEW Timeless Heart Collection: Double Heart Gatefold Card Etched Dies, Double Heart Gift Box Etched Dies, Rolled Flowers Etched Dies and Layered Leaf Vines Etched Dies. 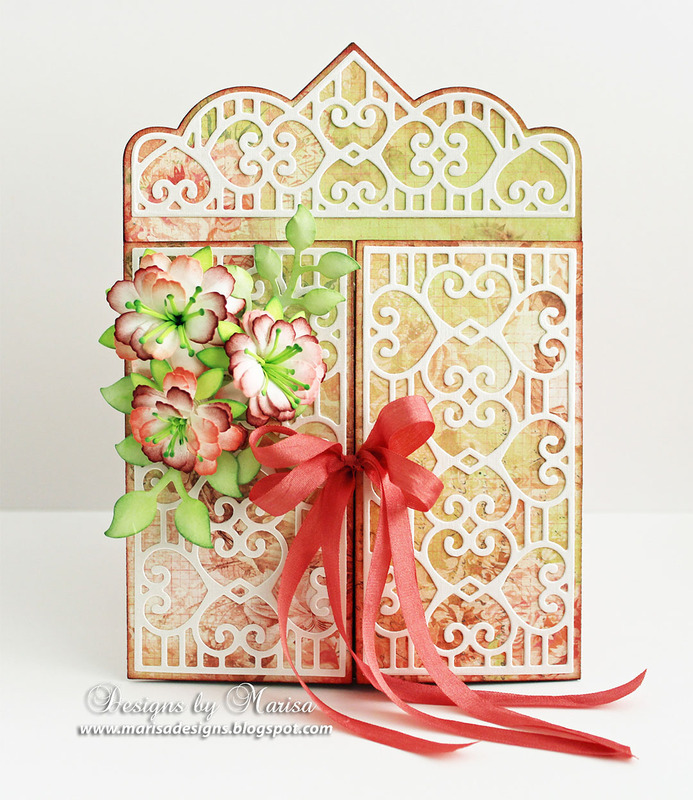 This gate-fold card and gift box ensemble was a lot of fun to create using these die sets. 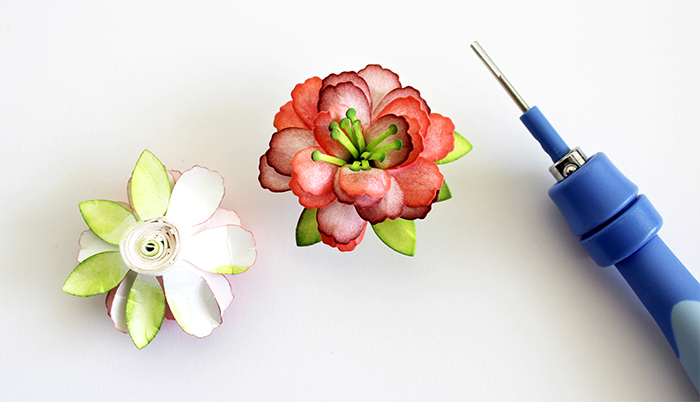 The Rolled Flowers are so easy to make, with just one die cut you get the stamens, flower petals and leaves!! 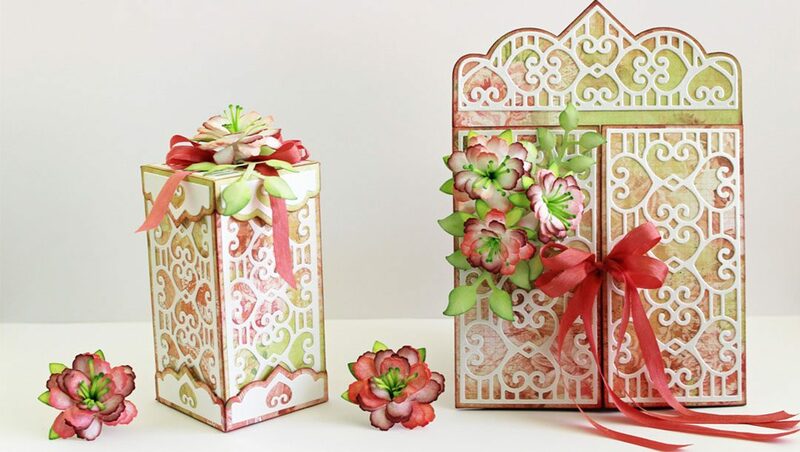 Follow the tutorials below to create these projects and flowers. 1. 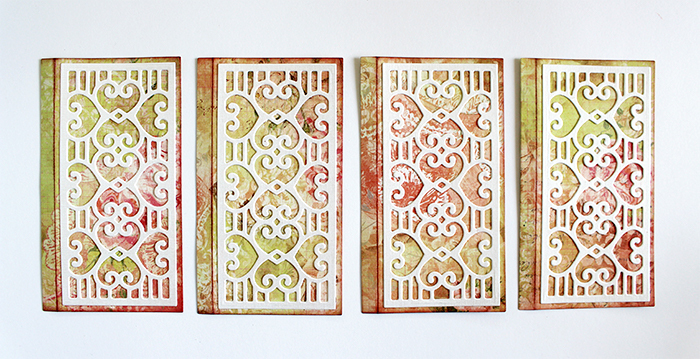 Die cut 4 box side panels from designer cardstock. 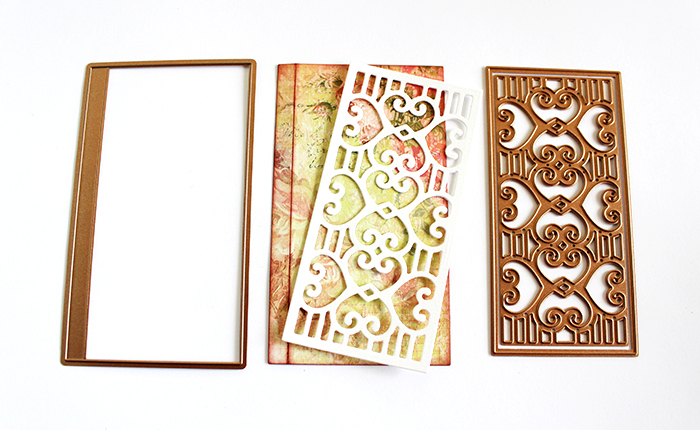 Die cut 4 decorative pieces from white cardstock. 2. 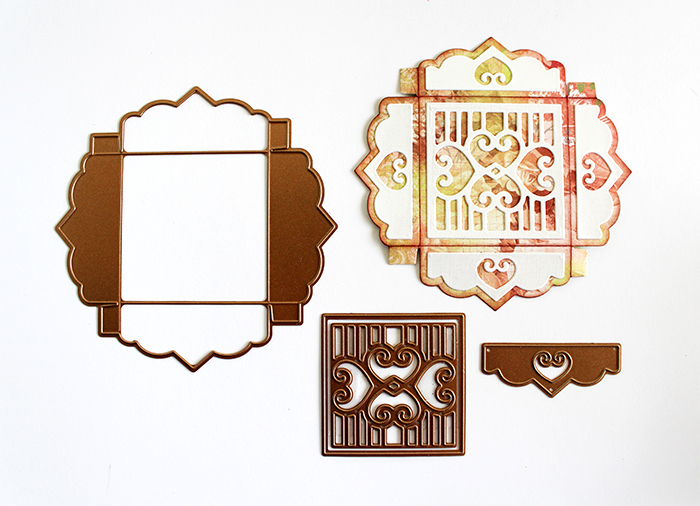 Glue decorative pieces to 4 side panels. 3. 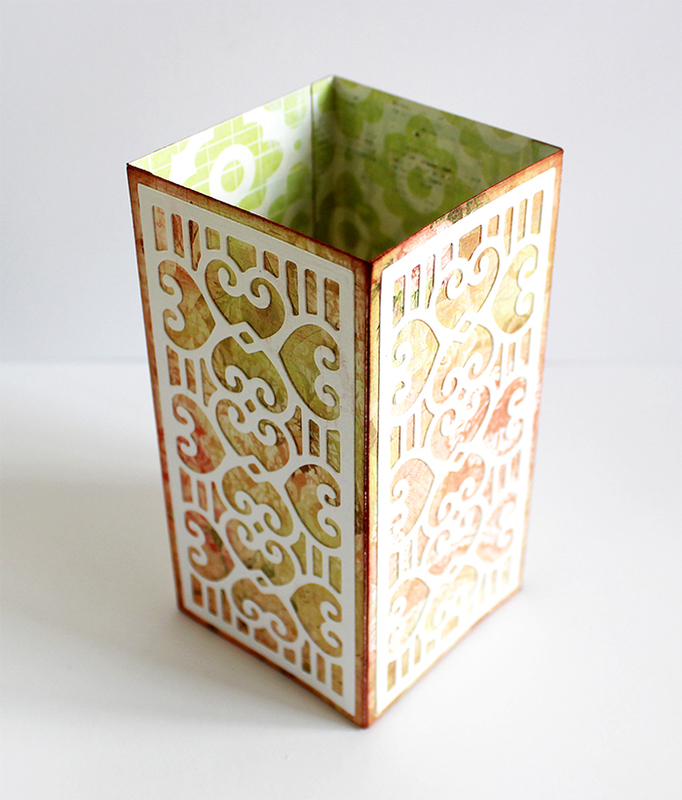 Apply glue or adhesive tape to 4 tabs and then adhere panels together to form box. 4. 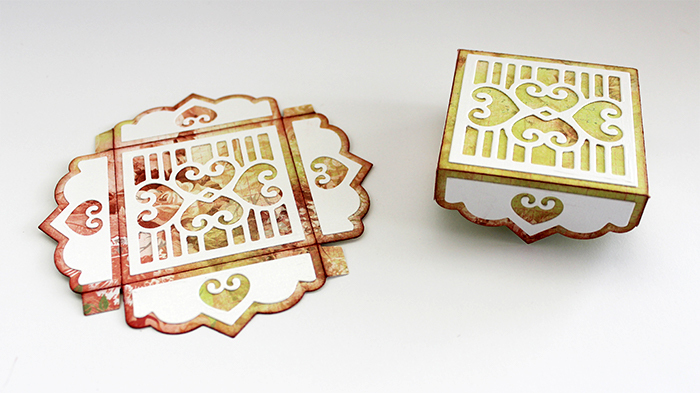 Die cut 2 lids from designer cardstock. 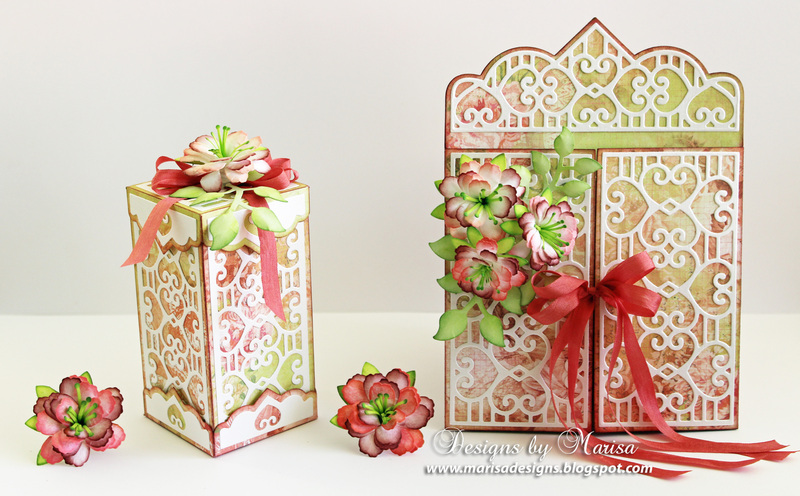 Die cut decorative pieces from white cardstock and then glue to both lids. 5. Apply tape or glue to 4 lid tabs. Glue lid side panels together at the tabs to form both lids. 6. 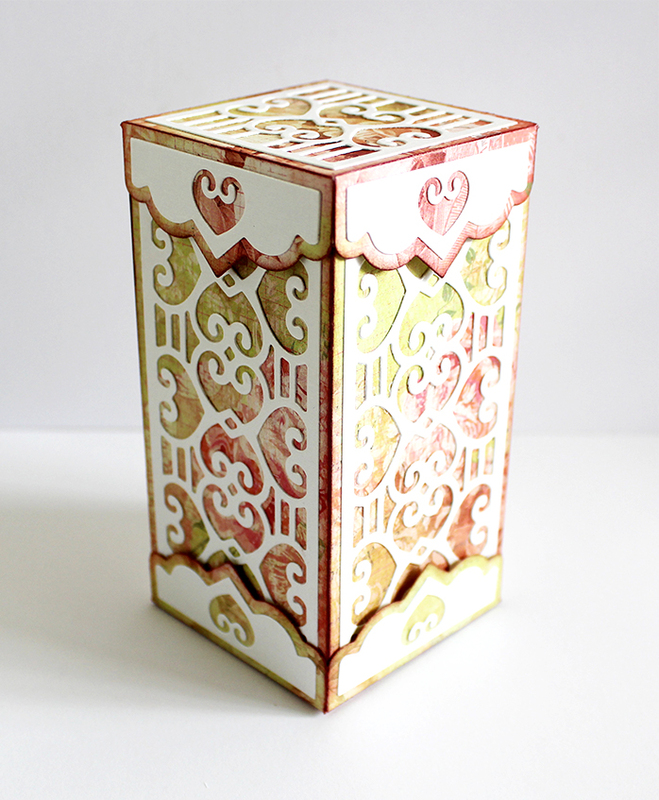 Apply lids to top and bottom to finish box. 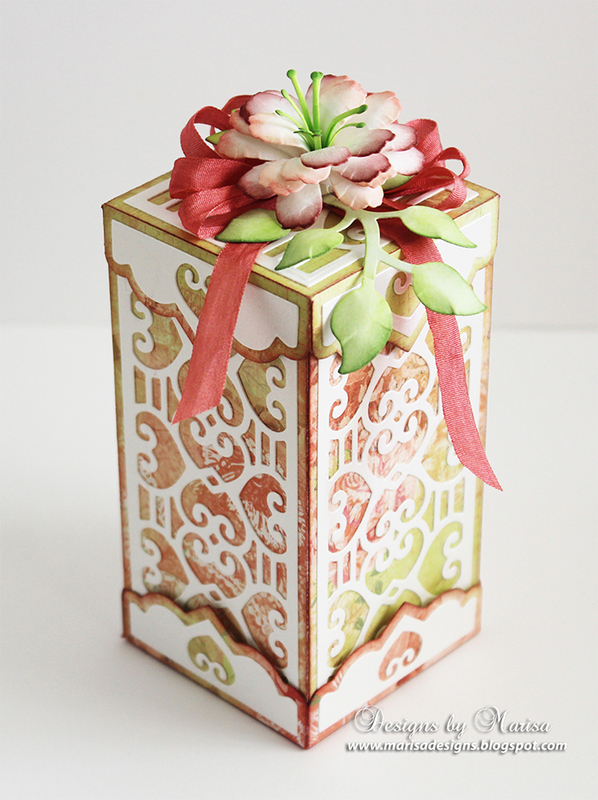 Decorate top of box with Rolled Flowers, Layered Leaf Vines and silk ribbon bow. 1. 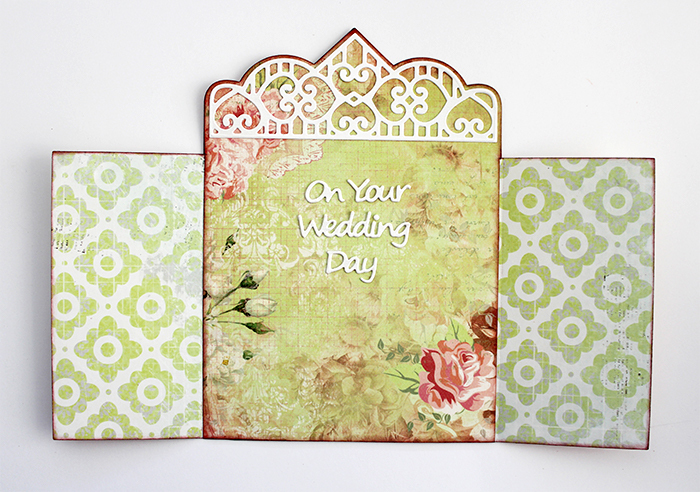 Die cut back of card panel from designer cardstock. 2. 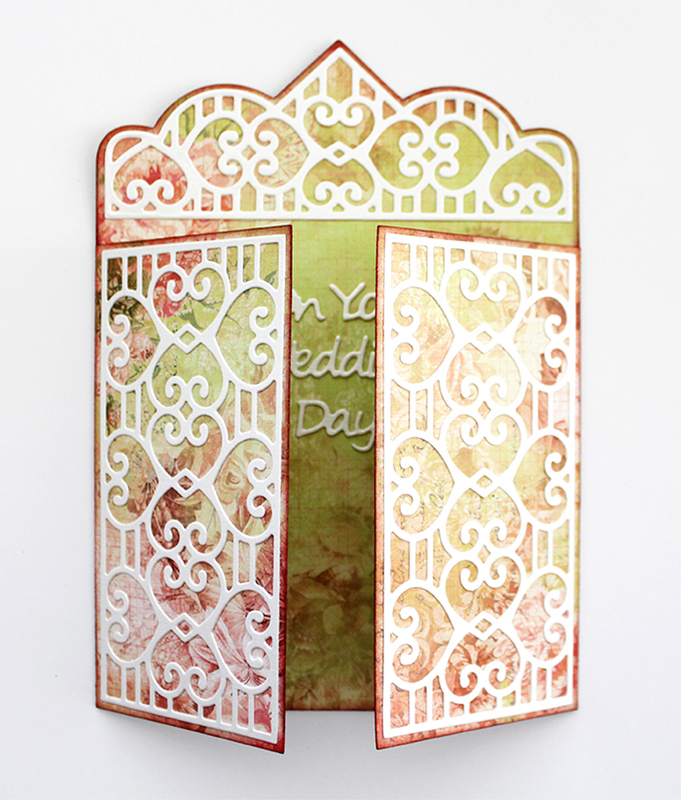 Die cut 2 card side panels from designer cardstock. 3. 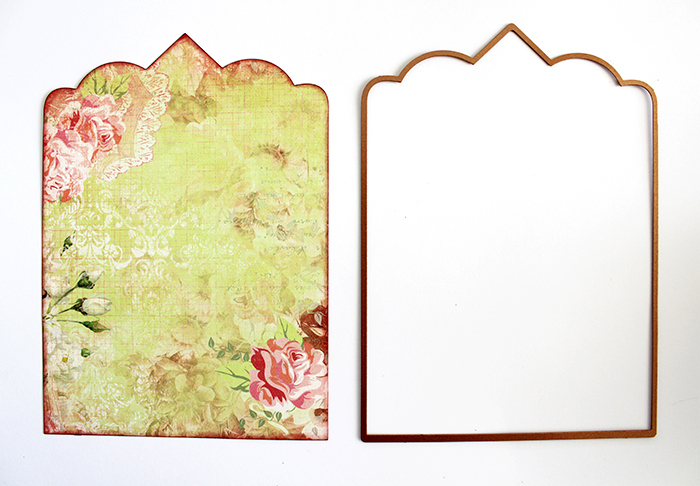 Die cut 2 decorative pieces from white cardstock and then glue to side panels. 4. 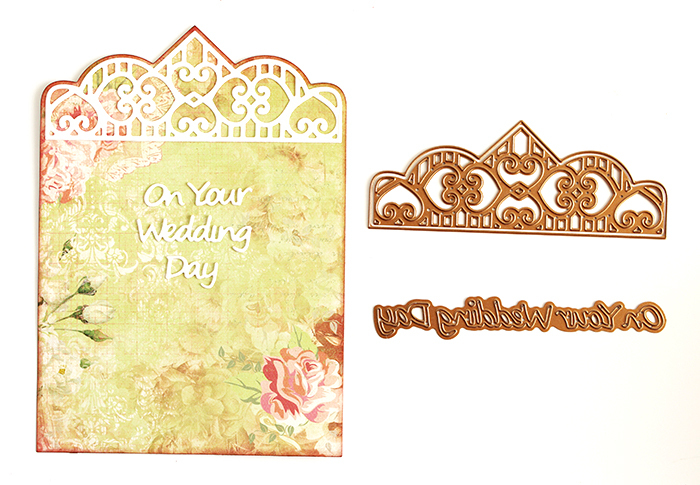 Die cut top decorative piece and sentiment from white cardstock and then glue to card. 5. 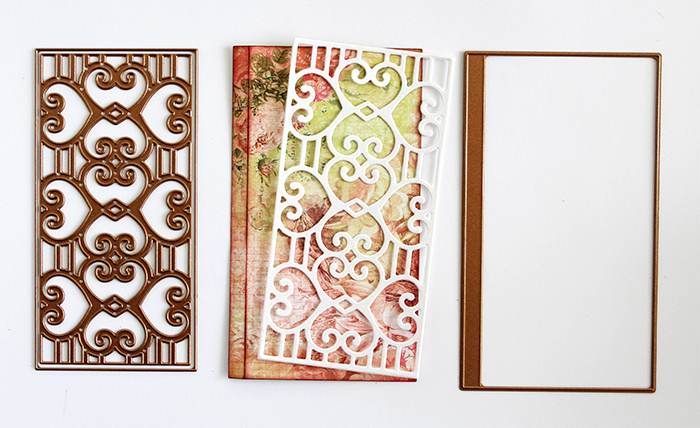 Apply adhesive strip or glue to side panel tabs and adhere to back of card. 6. 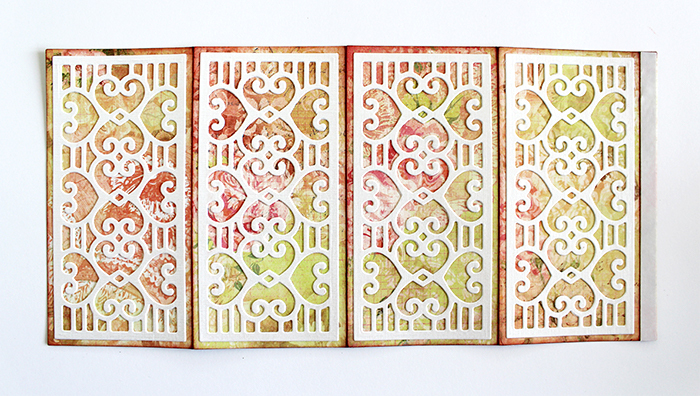 Punch a small hole to the center of each panel for ribbon. 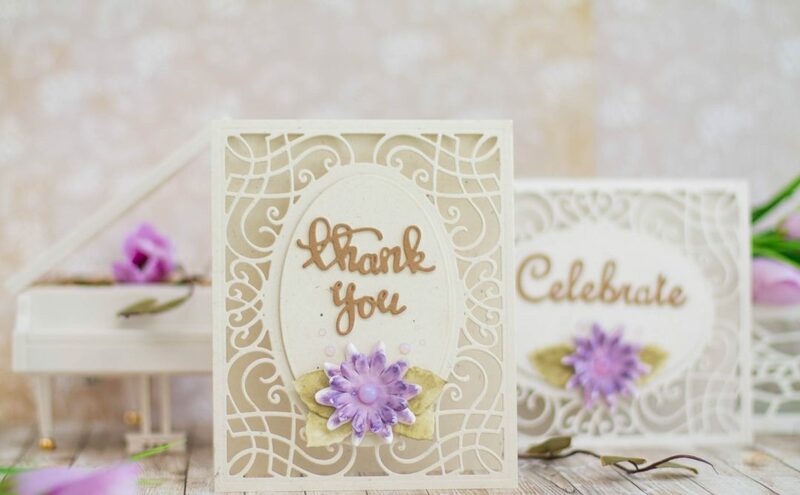 Decorate card with Rolled Flowers and Layered Leaf Vines. 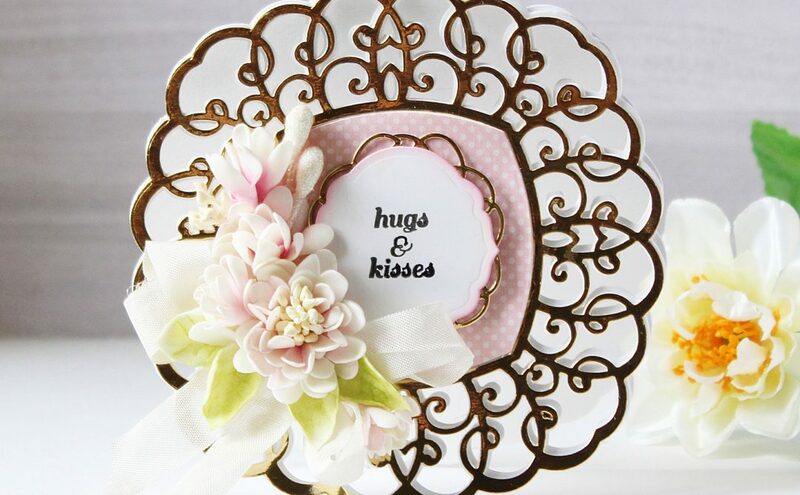 Make a bow in the center to close card. 1. 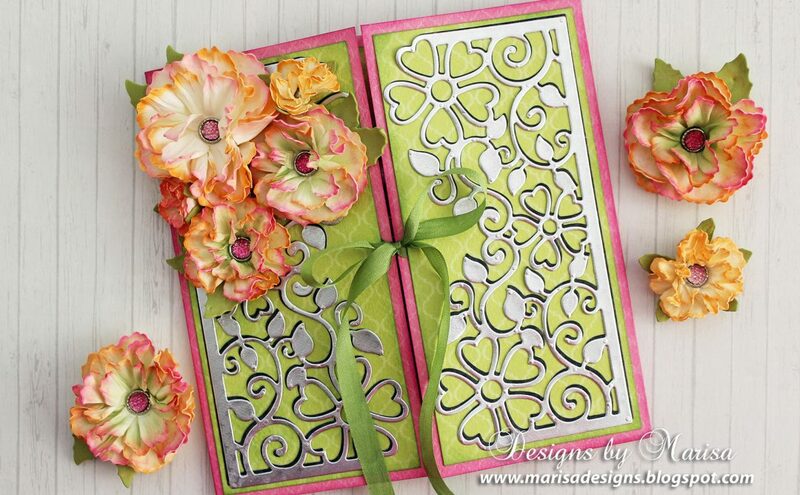 Die cut 2 strips of the same size for each flower from white cardstock. 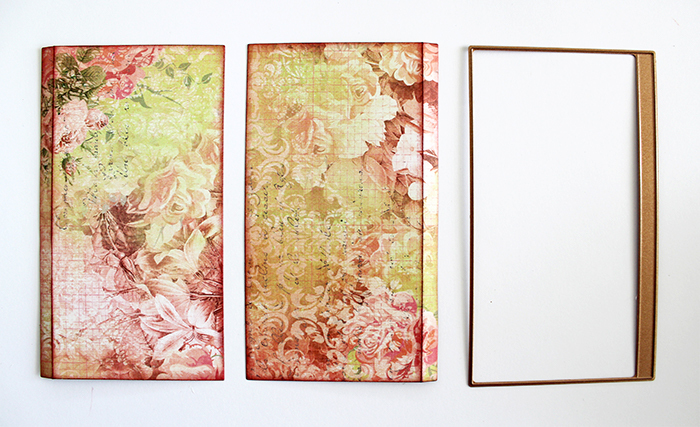 Color edges of flower petals with dauber and different shades of pink distress inks. 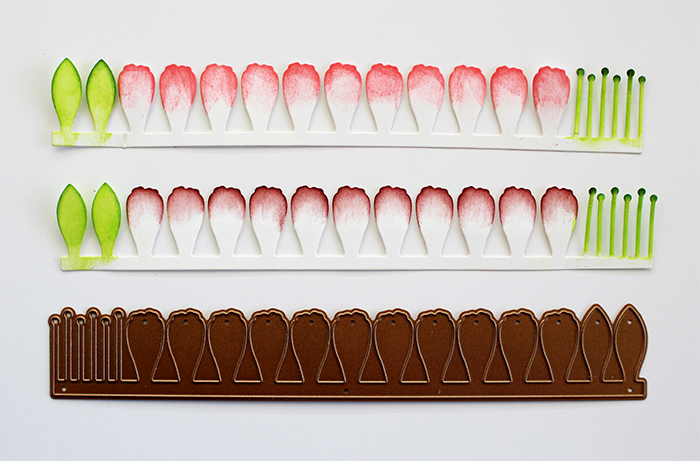 Color leaves and stamens at the end of strip with green distress ink as pictured below. 2. 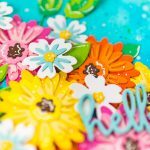 Shape petals and leaves with Tool N’ One™ Stylus and then glue strips together offsetting petals and leaves as pictured below. I used E-Z Runner Micro tape to adhere strips together. 3. 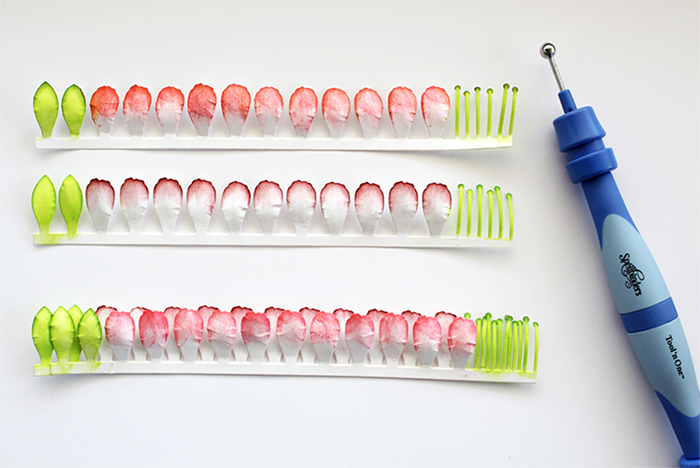 Roll flower strip with Tool N’ One™ Quilling Tip starting at the stamens side. Apply glue at the end of strip to keep secure. 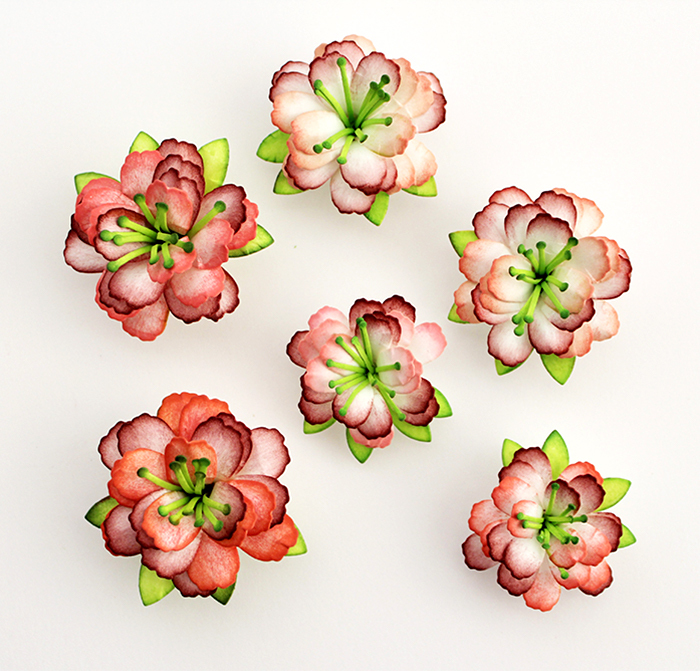 Open leaves and flower petals out to shape flower. 4. 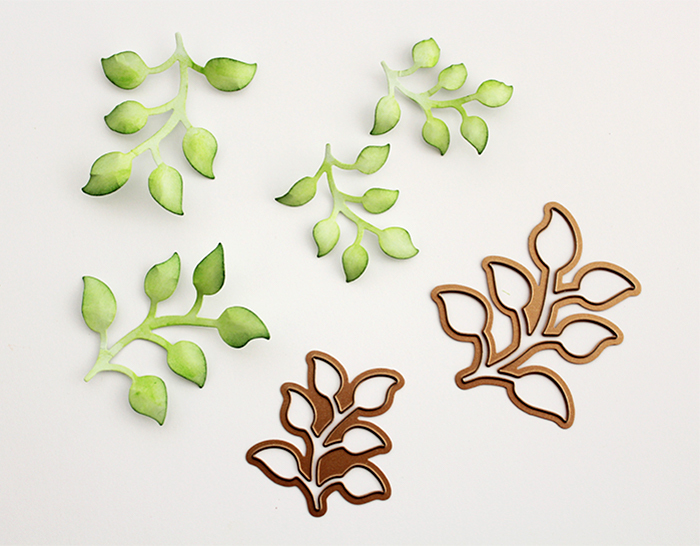 Die cut Layered Leaf Vines from light green cardstock. Color leaves with green Distress Ink. Glue leaves under flowers. 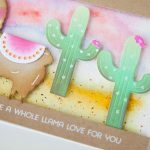 Neenah Papers (Natural White and Green Cardstock); BoBunny (Soiree Paper Collection, Ranger Distress Ink Pads – Aged Hahogany, Worn Lipstick, Victorian Velvet, Twisted Citron and Mowed Lawn, Scrapbook Adhesive by 3L – E-Z Runner Micro Permanent Adhesive, May Arts Silk Ribbon.